Canvas @ YaleInstructor Guides DiscussionsHow do I Create a Discussion Board? 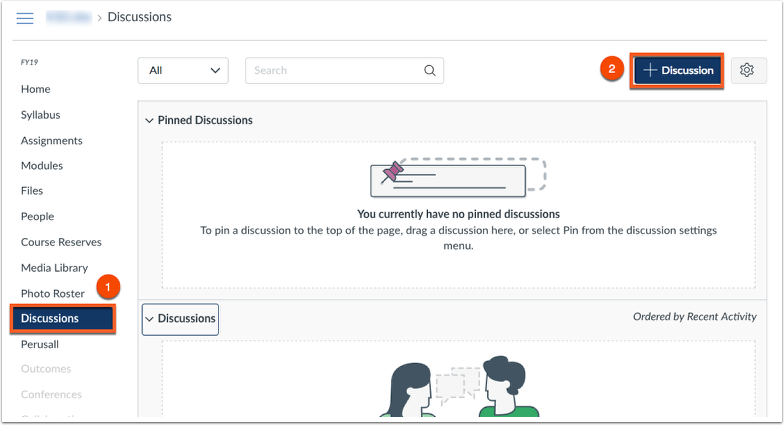 Canvas's Discussion tool allows you to create a discussion forum in which students can see each others responses to a discussion topic. 1. From your Canvas course, click Discussions on the left navigation. 4. Type your discussion within the content editor. 5. To link to other items within your course site, or files from the Files tab, navigate to the right hand side of the page. Choose the ite you would like to link to the discussion topic. 6. Choose which section you would like to post the discussion to. From the drop-down menu, you can choose specific sections, or leave the option to send to All Sections. 7. Choose the specific options for your discussion topic that pertain to the discussion topic. 8. You can then choose to make this a group discussion if necessary. 9. If applicable, choose the availability dates for the discussion topic. 10. Save or Save & Publish your discussion topic. 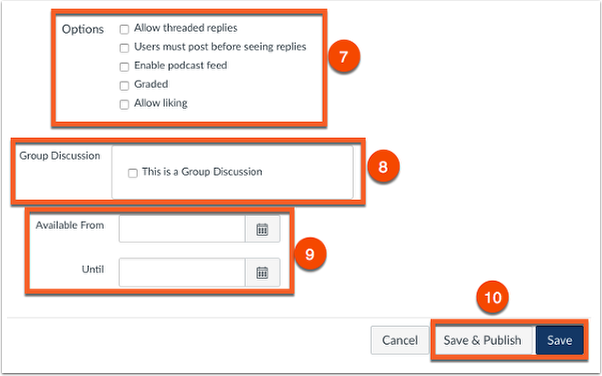 Saving your settings will keep your discussion hidden from student view, whereas the Save & Publish option will make your discussion post visible to students.